An unnamed “senior administration official” confirmed the existence of a Bush-era surveillance program which gobbled-up “vast amounts of records detailing the email and internet usage of Americans,” but claimed, without evidence, that “it ended in 2001,” according to The Guardian. Early last month, the British newspaper began publishing documents provided by former NSA contractor Edward Snowden, including a Top Secret FISA court order to Verizon Business Services, which requires the firm “on an ongoing, daily basis” to hand over information on all telephone calls within its system. 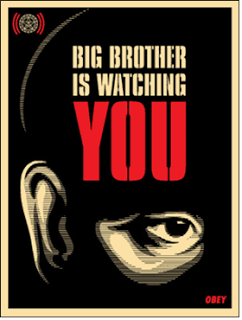 Although the news outlets principally responsible for bringing these stories to light, principally The Guardian, Washington Post, South China Morning Post, and now Der Spiegel, have not (as yet) published complete sets of NSA documents, and their reporting has barely scratched the surface of content-siphoning deep packet inspection (DPI) programs for internet and telephone surveillance (indeed, PRISM may be a subset of larger and more pernicious programs that collect, analyze and store everything), what we have learned so far is deeply troubling and pose grave threats to civil liberties. Filling in some of the blanks, on June 29 The Washington Post published four additional PRISM slides from the 41-slide deck provided to The Guardian and Post by Edward Snowden. Confirming what civil libertarians, journalists and political analysts have long maintained, NSA can and probably does “acquire” anything an individual analyst might request as Snowden averred. This includes, according to new information provided by the Post: chats, email, file transfers, internet telephone, login/ID, metadata, photos, social networking, stored data in the cloud, video, video conferencing. If that isn’t a surveillance dragnet, then words fail. Recall, that previous reporting disclosed that major US internet and high tech firms, Microsoft, Yahoo, Google, Facebook, PalTalk, YouTube, Skype, AOL and Apple gave NSA “direct access” to their systems. “It also opens the possibility of communications made entirely within the US being collected without warrants,” a near probability in this writer’s opinion. Although the firms all denied that they hand over customer data to the government, their self-serving claims are undercut by evidence that NSA-cleared company personnel, including “collection managers,” send “content tasking instructions directly to equipment installed at company-controlled locations,” rather than directly to company servers. Tasking orders can be sent to multiple sources, “for example, to a private company and to an NSA access point that taps into the Internet’s main gateway switches.” (for background see: Mark Klein, Wiring Up the Big Brother Machine, Klein’s affidavit in EFF’s lawsuit, Hepting v. AT&T and his groundbreaking 2006 piece for Wired Magazine). The FBI “uses government equipment on private company property to retrieve matching information from a participating company, such as Microsoft or Yahoo and pass it without further review to the NSA.” (see Verizon whistleblower Babak Pasdar’s affidavit on how FBI “tasking” is accomplished via its Quantico circuit). If this is what the Bureau is now claiming, it is disingenuous at best. In fact, as Antifascist Calling reported back in 2009, the FBI’s Investigative Data Warehouse (IDW), a virtual Library of Babel, is a content management and data mining system with the ability to access and analyze aggregated data from some fifty hitherto separate datasets. That the Bureau would feel compelled to “minimize” domestic information it provides to a “sister” agency beggars belief. We also learn how some of these code named systems function. While the Post claims that “systems identified as FALLOUT and CONVEYANCE appear to be the final filtering to reduce the intake of information about Americans,” information provided by NSA whistleblower William Binney dispute such assertions. In other words, NSA’s network of “secret rooms” were installed at key junctures that would facilitate, not “minimize” wholesale domestic surveillance. Expanding on just how intrusive NSA “collection” programs are, Binney told The New Yorker in a Jane Mayer piece on the Obama regime’s prosecution of NSA whistleblower Thomas Drake, that a surveillance program he helped design as SARC director, ThinThread, was “bastardized” after 9/11 and “stripped of privacy controls” that would filter out Americans’ communications. And they continue to do so today without one iota of oversight from a thoroughly compromised Congress. Shrouded beneath impenetrable layers of secrecy and deceit, these undisclosed programs lie at the dark heart of the state’s war against the American people. For example, the DOJ’s Office of the Inspector General described FBI participation in the PSP as that of a “passive recipient of intelligence collected under the program.” Recent revelations by Edward Snowden expose such statements as bald-faced lies. And when the OIG claimed that Bureau efforts “to improve cooperation with the NSA to enhance the usefulness of PSP-derived information to FBI agents,” that too, is a craven misrepresentation given what we now know about the key role the FBI plays in NSA’s PRISM program. However, the unclassified version of NSA’s Inspector General’s report on the PSP published by The Guardian paints a far-different picture. A close reading of the document reveals that a federal judge sitting on the FISA would approve a bulk collection order for metadata “every 90 days,” as long as it “involved” the “communications with at least one communicant outside the United States or for which no communicant was known to be a citizen of the United States”. Although the administration now claims that specific program ended in 2011, online collection of data on Americans continues today. “Explaining that the five-year old program ‘began as a near-real-time metadata analyzer … for a classic collection system’, the SSO official noted: ‘In its five year history, numerous other systems from across the Agency have come to use ShellTrumpet’s processing capabilities for performance monitoring’ and other tasks, such as ‘direct email tip alerting’,” The Guardian reported. There is much we do not yet know about these programs, how “collected” data is exploited by government agencies, nor the present and future implications for civil liberties and privacy in the United States and globally. What we do know however, is that the Obama administration, including their national security spokespeople and their media and political apologists are lying.